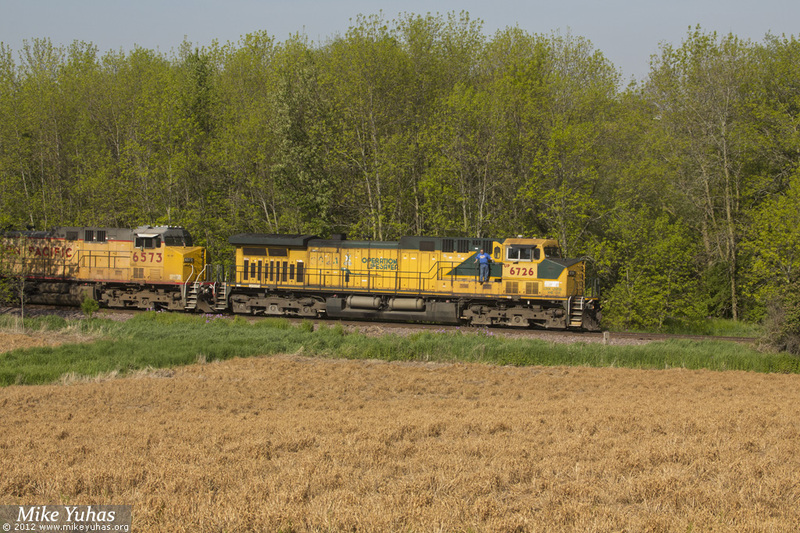 A coal train heads toward Sheboygan on the Shoreline Subdivision past a recently de-vegetated field. One set of coal hoppers is in service between the Wyoming coalfields and Sheboygan; it makes the roundtrip in about a week. Several other trainsets are in storage account lowered coal demand. This reduction is spurred by an abundance of cheaper natural gas, and a mild winter.